Did you ever want to be in a club full of robot clones dancing around a belligerent Godzilla? 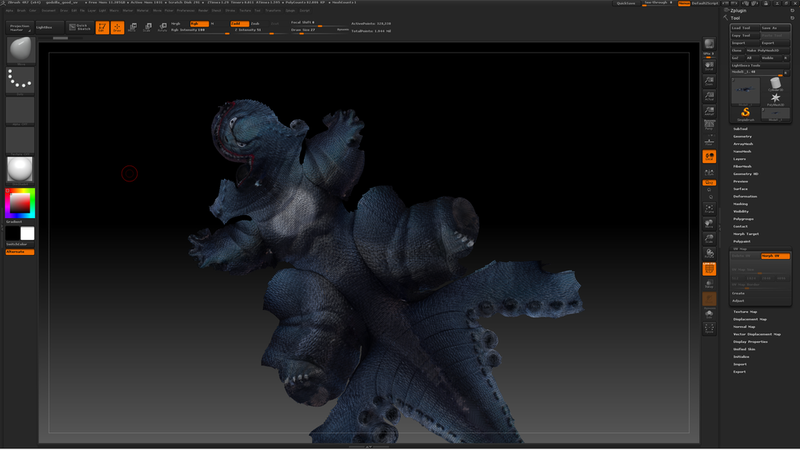 We did, and that is how Godzilla Dance Party was born. After getting an HTC Vive at the studio we wanted to find a way to create our own experiences. 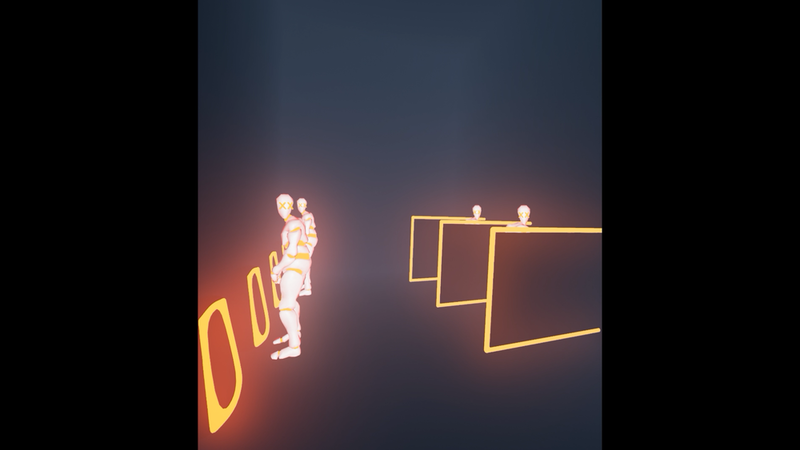 To figure out these workflows we gave ourselves two weeks to dive into Unreal and create something. 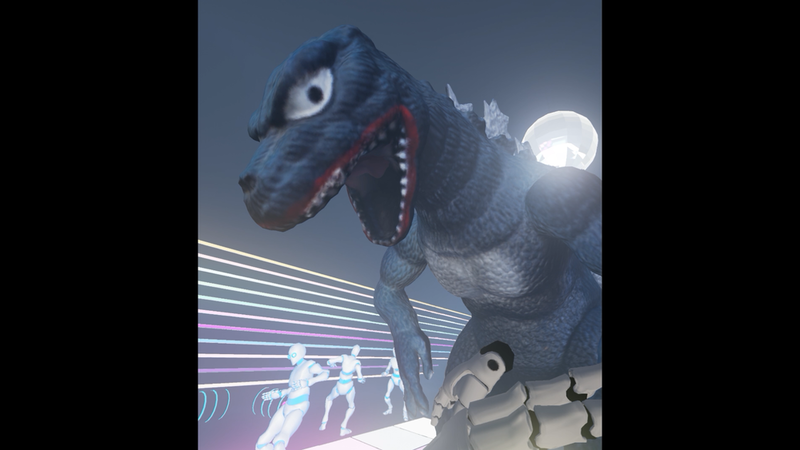 To make this interactive club experience, we used Mixamo dances and characters, as well as a photoscanned and rigged toy Godzilla. From there we added features such as a simple VJ board, a three-song DJ set, and hit triggered rag-doll dancers. 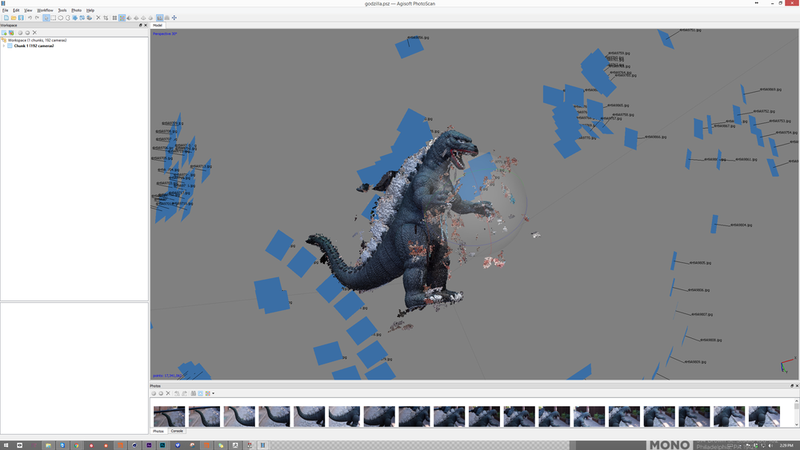 As our photoscanned Godzilla tears up the dance floor, he kicks over anything around him. If the song changes, he changes his funky dance moves. If a beer bottle or anything gets thrown at him, he lets out his signature Godzilla roar filled with blue flames. The club has two floors. The first floor has a dancefloor, bar, and a DJ booth. From the booth you can control the song being played and which dance moves Godzilla is busting out. The booth also has VJ controls to strobe the house lights on & off to the music. Upstairs has a balcony over looking the club and a bathroom filled with awkward interactions.